Prince Harry and Meghan Markle at Kensington Palace in London. We’re not likely to watch much, if any, of the royal wedding, which takes May 19 at St. George’s Chapel at Windsor Castle. But if we can’t resist getting a glimpse of the spectacle — we will, after all, want to see what Meghan Markle’s wearing when she weds the ginger-haired Prince Harry — we’re going to tune into CNN to hear what Harvey Young has to say. Young is the new Dean of the College of Fine Arts at Boston University, and he’ll be among the commentators contributing to CNN’s coverage of the blessed event. 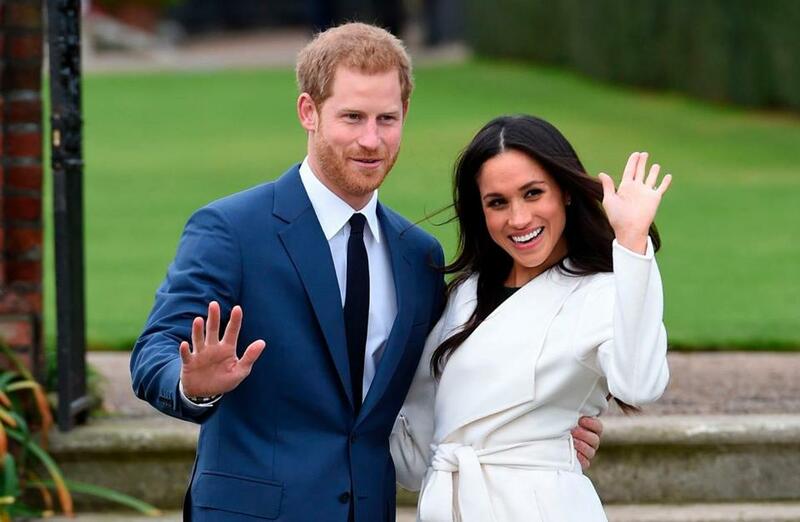 And unlike some other talking heads, Young might have actual insight because he knows Markle a little bit, having taught her at Northwestern, where he was a professor of theater before coming to BU in January. Young makes a cameo in Andrew Morton’s new biography of Markle, titled “Meghan: A Hollywood Princess,” and it’s clear that Prince Harry’s biracial betrothed, who graduated from Northwestern in 2003 — she was a double major in theater and international studies — made an impression on the professor. Apparently Young’s class, focused on African-American plays, was formative for Markle, too. “It was the first time I could put a name to feeling too light in the black community, too mixed in the white community,” she says in the book. Young has published seven books, the most recent being “Black Theater Is Black Life: An Oral History of Chicago Theater,” which he coauthored with Mecca Zabriskie.